What’s in a name? A lot when it comes to our project management solution for Microsoft Dynamics 365, proRM Fast Start. 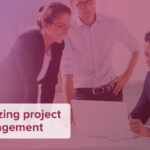 For one of its biggest benefits is a quick and easy start into project management software. proRM Fast Start is implemented in just two days. After installing the solution into your Dynamics 365 environment, you only have to make a few configurations before you can start to plan and monitor projects, record working time and expenses, approve bookings and create invoices. Each user requires a security role to work in the app. These are different roles with different permissions, e.g. a project manager comes with more rights than the basic employee security role. In order to plan projects precisely, resources with particular qualifications are required. These qualifications are set out in rating models. To understand what the values of the ratings model mean, they have to be defined. Characteristics are a resource’s qualifications and certification, for example language skills or certificates that verify proficiency with a particular software. Bookable resource categories describe the position employees have in a company, such as consultant or mechanic. This is where the weekly working hours of each employee are set up. There may be different working hours depending on whether a resource works full or part-time. Bookable resources are employees that can be assigned to projects. They belong to one or more resource categories and have certain characteristics (qualifications and certifications). 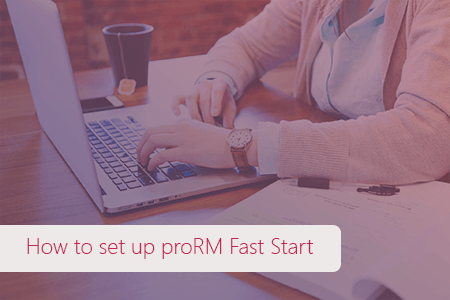 Learn what exactly you need to do to configure proRM Fast Start in this video.